2019 Christmas Holiday Gift Guide: The small, fun and cool gifts to fill the teenage girls’ Christmas stockings. Filling a teen’s stocking can be a hassle, gift shopping for teens is not an easy task. Don’t want to upset her this holiday season? Make sure to fill her stocking with something exciting this year. 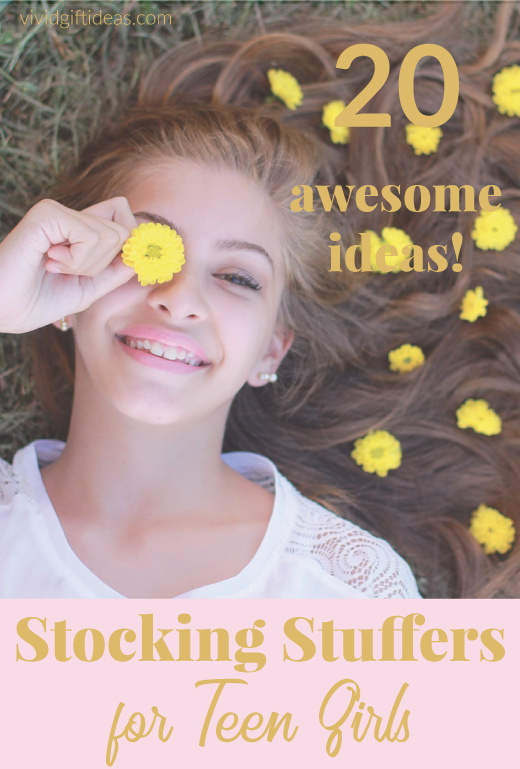 Read here for 20 stocking stuffer ideas for teens. These perfect little gifts are inexpensive, creative and trendy. They are the killer presents your teenager will fall in love with. 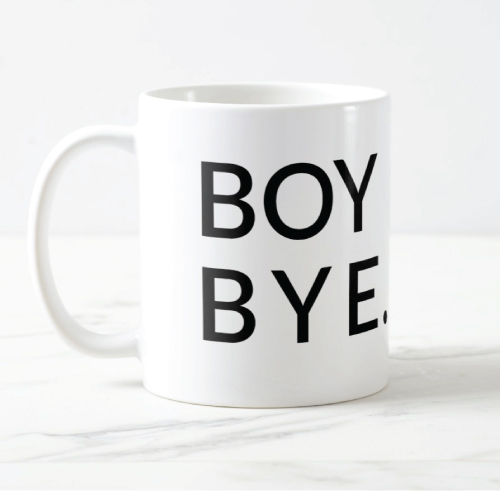 Let’s start our list of best stocking stuffers for teen girls with this chic mug. Vintage style graphic featuring Audrey Hepburn. 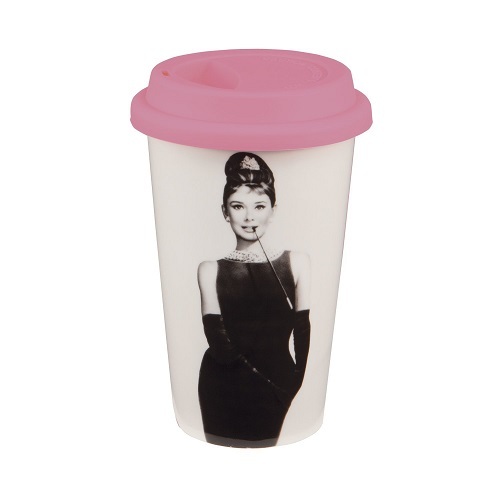 This mug is made of ceramic with a pink silicone lid. It is double walled to keep drinks cold or hot for hours. Keep her warm and looking cute this winter. 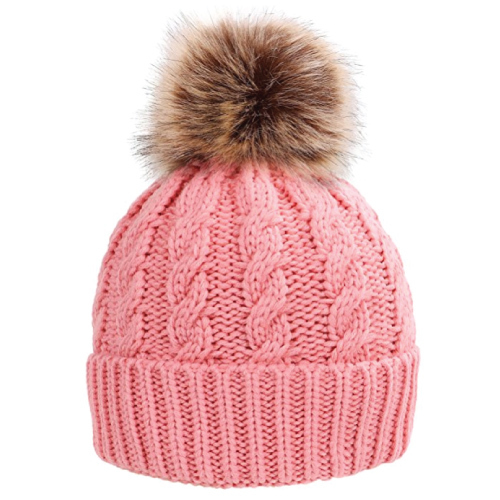 Cable knit patterned beanie decorated with a pom pom on top. This holiday season, you can also get this stylish wallet as your teen girl’s stocking stuffer. 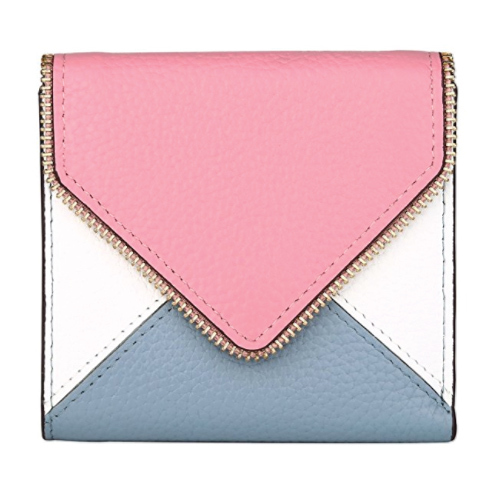 Made of soft leather, mini in size. This wallet has six card slots, one ID window, one zippered pocket for the coin and a full-length bill section. 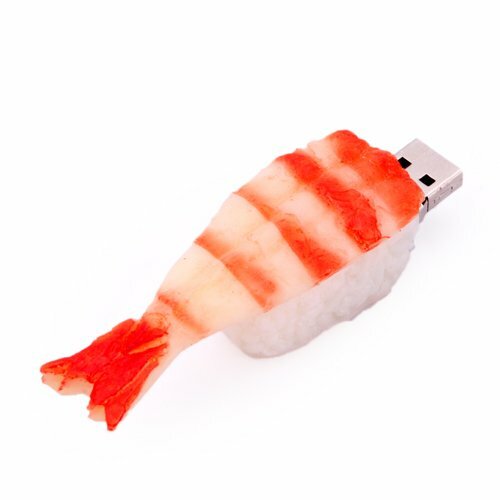 This shrimp sushi USB storage drive makes one of the best stocking stuffers for teen girls. It is unique, fun and functional. An inexpensive gift that teens will appreciate. Fill her Christmas stocking with this lovely keychain that brings lots of good lucks. 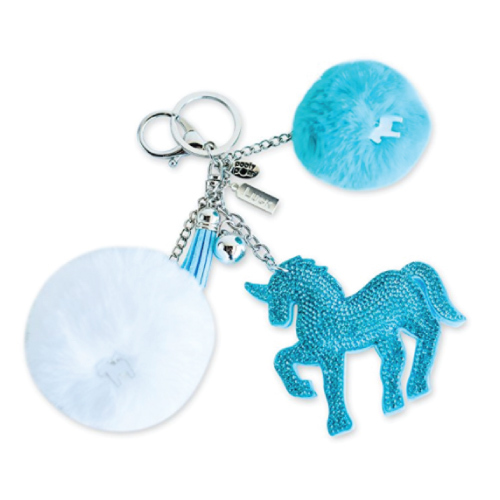 Features a shiny crystal unicorn with tassels, silver charm that reads “luck”, a white fur ball pom, and a teal fur ball decorated with a mini unicorn. This keychain comes attached to a heartfelt message card. It is perfect for the girly girls. This pair of stylish earrings is another fantastic gift for teens. 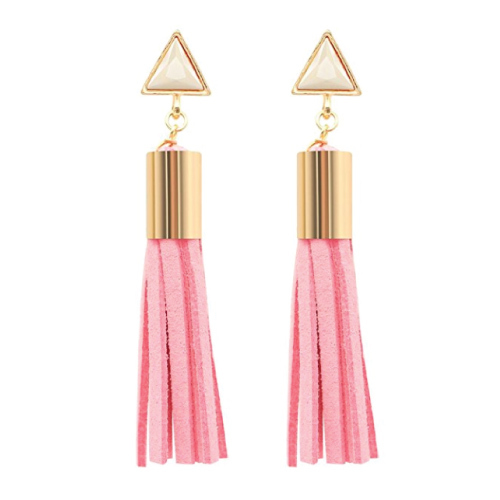 Charming pink tassel with white triangle crystal. It looks trendy, cool, and adorable. Yes, we girls are strong. Say bye bye to the boys. A simple mug with an awesome statement. Another great mug for the teenagers. 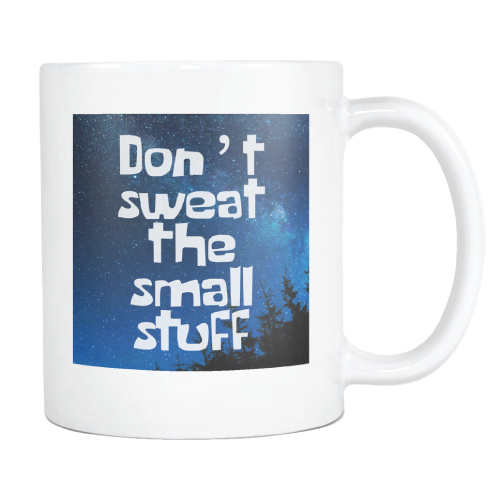 It comes with a helpful message and starry night as background. Made of ceramic, 11 oz capacity. She will love it for sure! 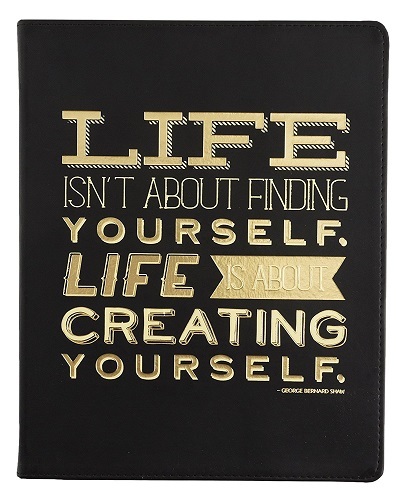 Inspire her with this beautiful journal that reads “Life isn’t about finding yourself. Life is about creating yourself.”. 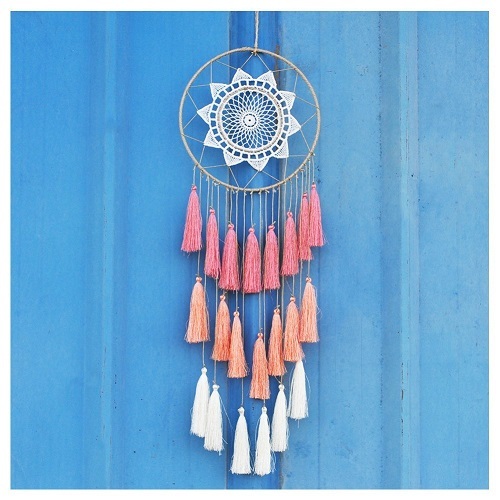 Pretty dream catcher to decorate the teenage girl’s bedroom. It is handmade with gorgeous details. Great colors, artistic-looking. No more bad dream with it hanging on your wall. Makeup and beauty products are good stocking stuffers for teens. 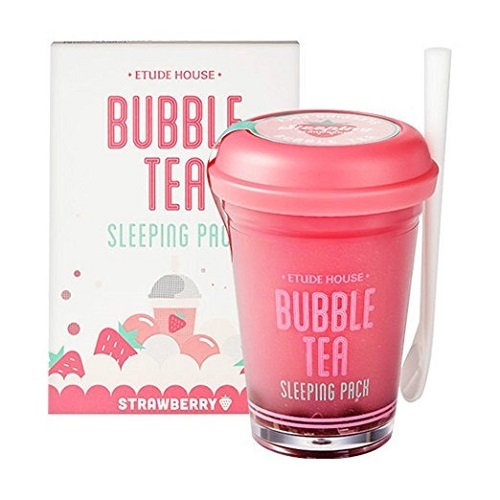 She will love this strawberry bubble tea sleeping mask. Apply before going to bed and wake up to a moisturized, glowing skin. 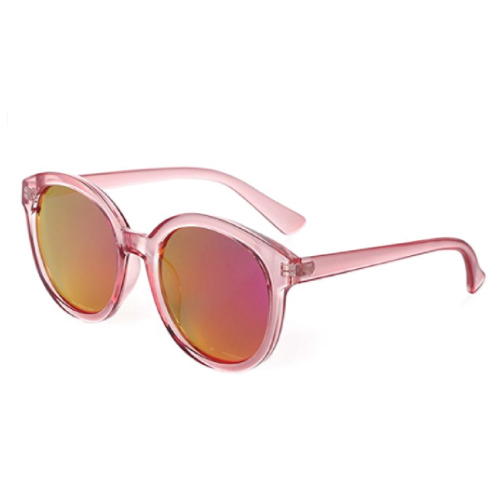 Vintage style pink sunglasses to make girls look sassy and chic. This pair of sunglasses has Barbie pink frame and mirrored lens. It is suitable for any face shape. She will definitely love it! You can stuff her Christmas stocking with pretty underwear. This bralette makes an excellent choice. 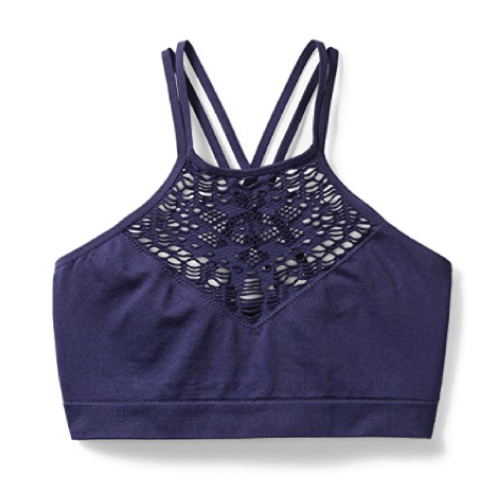 Features high neckline with eye-catching geometric cutouts, double straps and a criss-cross back. It is wire free and comfortable. Fits well, soft and supportive. A wonderful addition to the girl’s wardrobe. For teens who love playing with their hair. 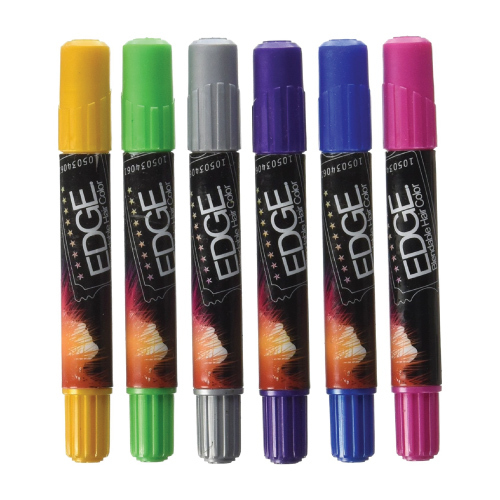 This set of hair coloring chalk makes an amazing stocking stuffer. 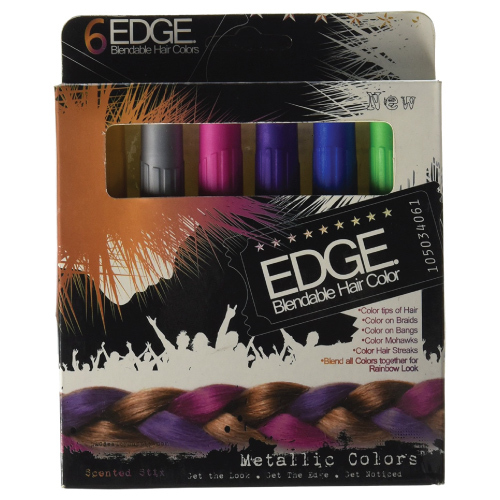 Six metallic colors to add a pop of color to your hair. No mess, easy application. Glides and rub it onto your hair and see it transform into exciting colors. Awesome tech gift for teens who love taking pictures. 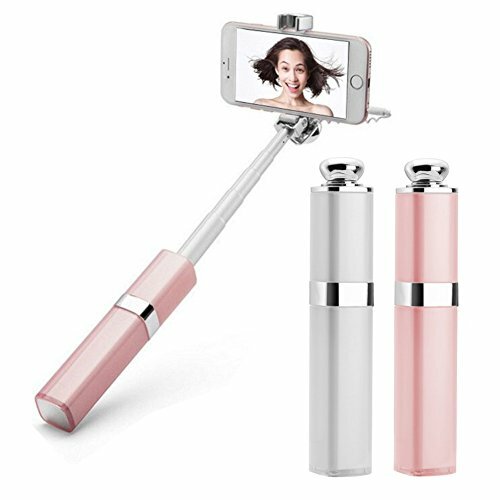 This selfie stick has a unique lipstick design loved by girls. It is small, light and useful. The arm can be extended to 23 inches long to let you take a good picture without the help of others. It is easy to use. Just plug in and you are ready to go. No charging needed, no need for extra app installation. 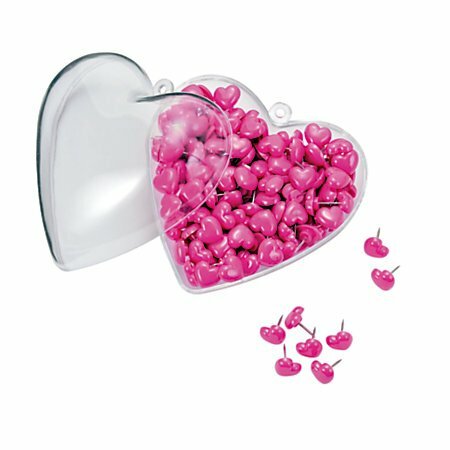 200 heart shaped push pins to express your love to her this holiday season. 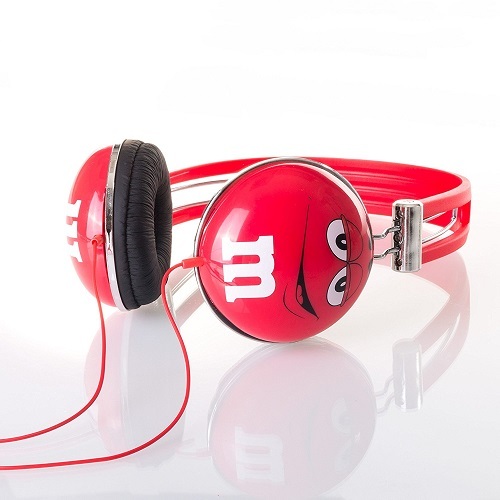 Have fun listening to music with this M&M’s headphones. Cute design, bright color. It delivers high quality, crisp sound. 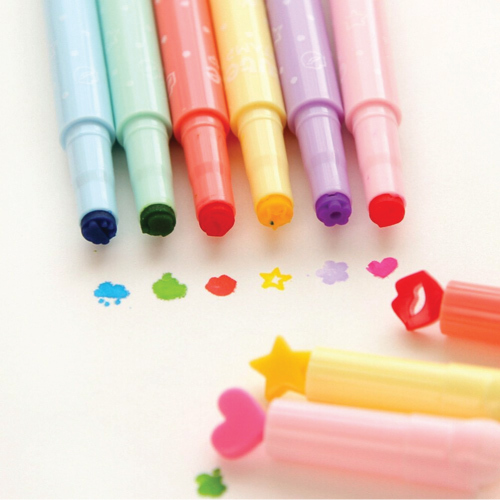 Adorable school supplies loved by teen girls — a pack of 12 colorful highlighter pens. Vibrant colors, unique pen tip. Great for doing crafts and note-taking. Hot fashion accessories for teens — metal boyfriend watch. 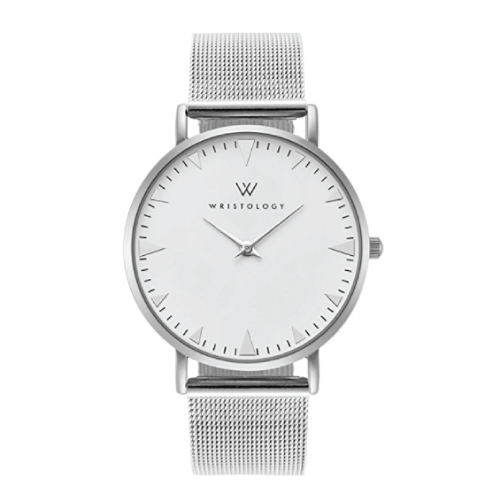 Slim case, clean-looking white face, silver mesh straps. It is simple, sleek, and cool-looking. A must-have watch for the fashion-forward teens. Adorable little kitty coming to wish her a merry Christmas. Rose gold plated. 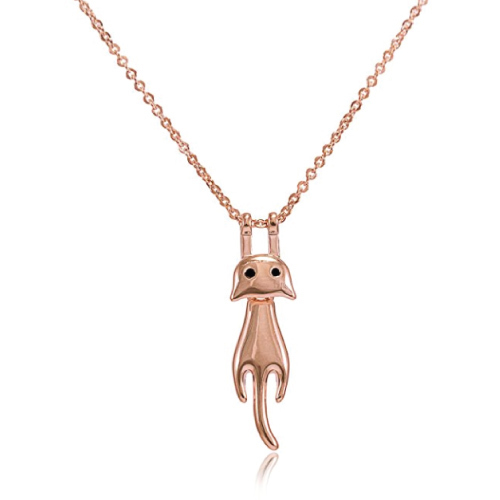 The cat is hanging at the bottom chain and the body can swing a bit. This is a dainty piece she will adore. Lip balm always makes a good stocking stuffer for teenage girls. 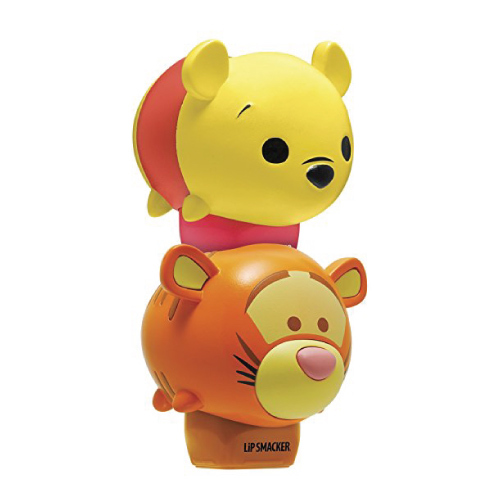 You can get this set of stackable Winnie The Pooh and Tigger lip balms for her. 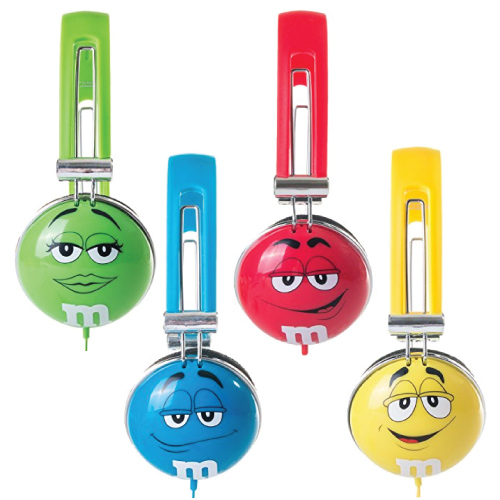 They have fun character-inspired flavors of honey pot and bubble gum. Smells awesome, looks amazingly cute. That concludes our list of 2019 stocking stuffer ideas for teen girls. Thanks for reading and have a happy Christmas.